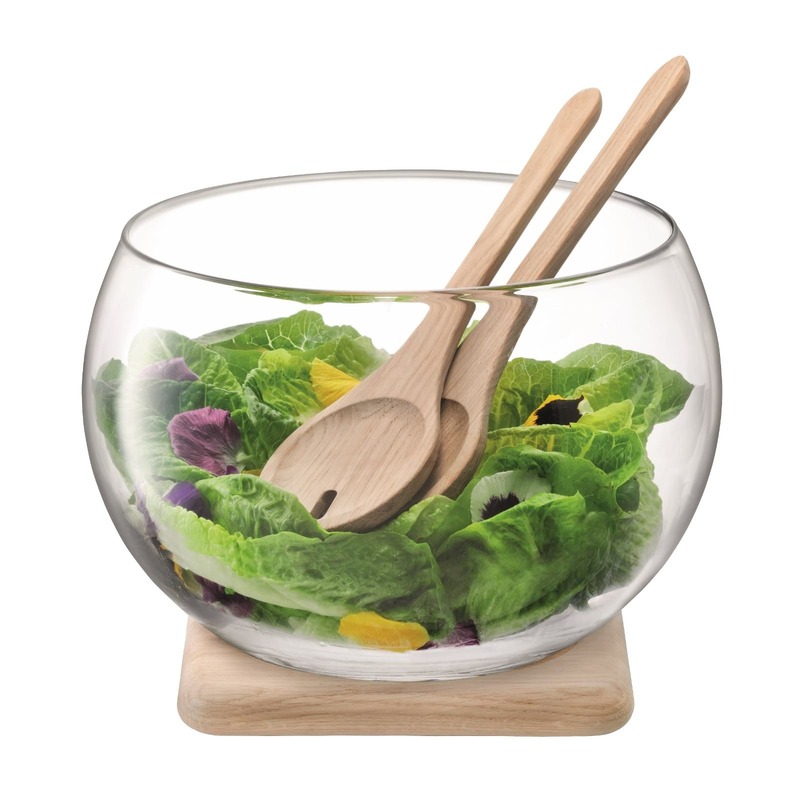 Serve by LSA is a handmade glass salad bowl with oak salad servers and oak base. 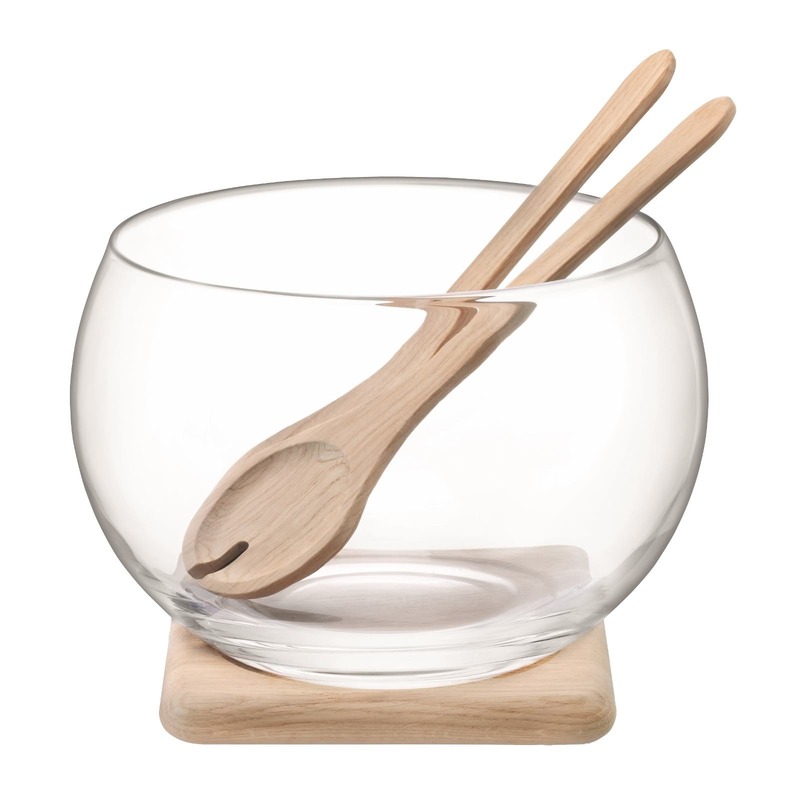 This generously-sized elegant bowl is handmade by skilled glass artisans. 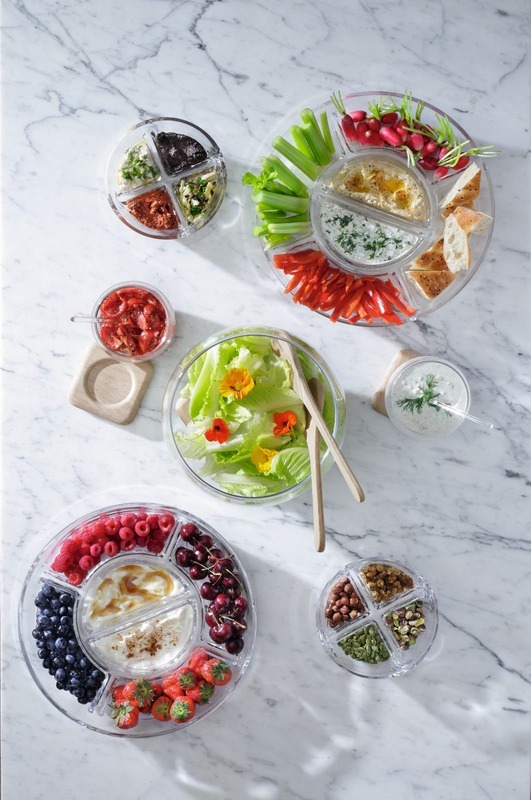 It complements the extensive range of platters and dishes in the Serve collection, designed for stylish serving or as a decorative piece. 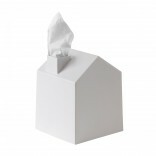 Packaged in a photographic gift box. 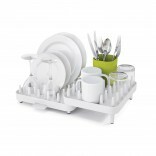 Dimensions: Diameter 27cm, Height: 18.5cm.